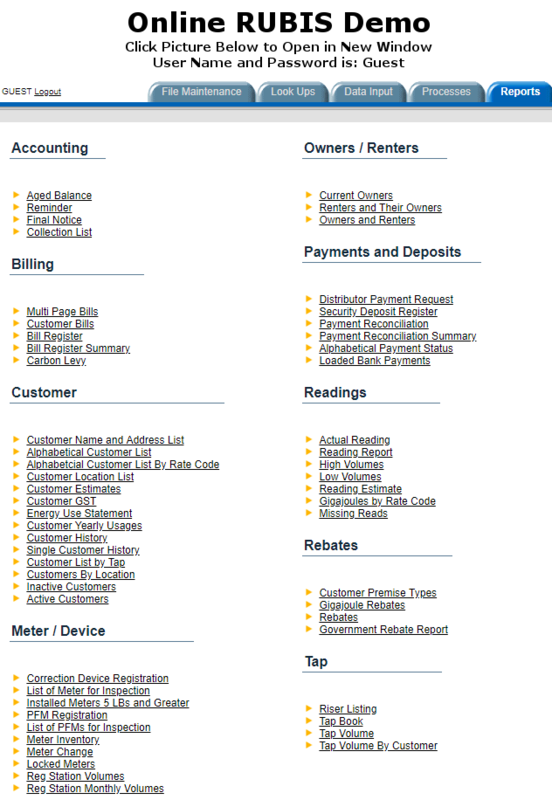 The Rural Utility Billing Information System (RUBIS) is a co-operative billing system owned and managed by its users. It was specifically designed for municipal and co-operative natural gas systems. RUBIS is set-up as a user-pay service within the Federation of Alberta Gas Co-ops. It was designed for natural gas utilities, but is also capable of handling propane and water customers. RUBIS uses powerful, versatile software covering all aspects of a typical billing program. It is based on Windows technology and uses an Oracle Database, allowing users to access their information in a secure, online environment from anywhere in the world. Generating final bills throughout the month. The Federation has a RUBIS billing staff able to complete data entry and payment reconciliation for utilities, or utilities can take RUBIS home to operate for itself. View the RUBIS Brochure for more program information. To contact the RUBIS Billing Representative, click here.